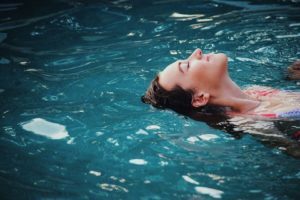 Backpacking is not a relaxing vacation, so you may need to take some time to unwind from the constant packing and unpacking that inherently comes with travelling. Luckily, New Zealand has more options to relax than you can count. Aside from the obvious beachside hostel with free hammocks, we have gathered for you a perfect bucket list to go through. 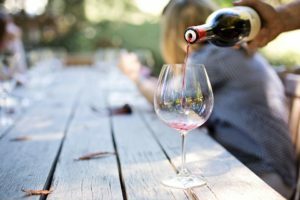 From natural mud to a cold glass of sauvignon blanc during a sunset cruise, you’ll come out the most relaxed person in the country! Use the power of the earth to sooth your skin. New Zealand’s best mud is found in and around Rotorua, which is mostly known for its geothermal activity. Our tip: combine your spa entry with your geothermal park entry to get discount. Probably the most scenic pool you will ever visit in your life, the Tekapo Springs are located on the shore of the most photographed lake of the country. The pool and sauna are open all year round. It is more impressive when the surroundings are covered in snow. 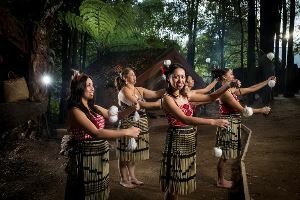 The Maori culture is one of the most fascinating cultures of the Pacific. Visiting a village is a must to witness inspired artists, fierce warriors and ancient storytelling. The great cooks will treat you to a traditional Hangi meal. 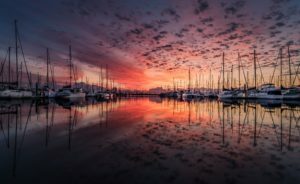 New Zealand is a country living on the water; Kiwis will find any excuse to spend time on a boat to fish, race or relax on a sunset cruise. Usually including dinner and drinks, a sunset cruise is a great way to cool down after a hot summer’s day. We especially love the Lake Taupo and Bay of Island options. 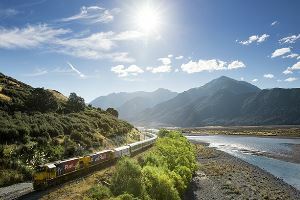 Probably the most scenic train ride of your life will take you from Christchurch to Greymouth and vice versa. Passing through the mighty Southern Alps and its breathtaking landscape makes this journey more than just a means of transportation. 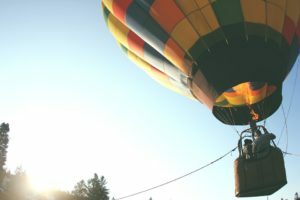 Hot air balloon is so popular that we even have a festival dedicated to it in Hamilton (North Island) every year. It is a peaceful way to get a vantage point of the surroundings. 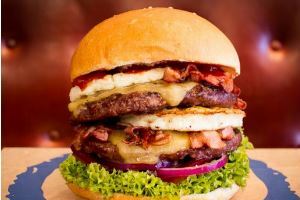 Fergburgers are probably the most outrageously sized burger in New Zealand and, therefore, the most famous burger of New Zealand. Make sure to start queuing before you get hungry, especially on Saturdays in summer. We have seen queues an hour long! With over 150 breweries in New Zealand, beer lovers will have much to do. 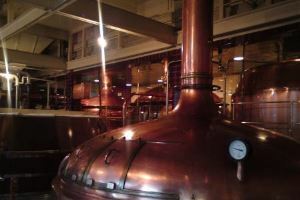 Almost every brewery offers tours of their facilities. Along with the tour comes tastings of ice cold refreshing beers. One of the most interactive geothermal features of New Zealand is located in the Coromandel Peninsula. Time your visit to Hot Water Beach correctly by arriving for the low tide. 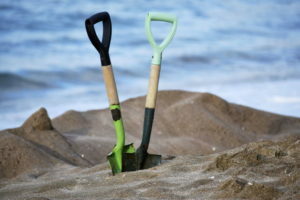 Then you will be able to dig your own pool filled with naturally heated water and cooled down by seawater.